Check the local Craigslist listings in any port city, or simply cruise around the local harbor, and you’ll find that there’s no shortage of cheap or free used sailboats on offer. If you’ve been dreaming of traveling the world on a sailboat of your own, the thought of a cheap or free used boat might be tempting. Really, there’s no reason you can’t find a great boat at a stupendous price – but you need to know what you’re looking for. The truth is, there’s a lot that can go wrong – and, for that matter, be wrong – with a used sailboat, and the last thing you need is a major problem while you’re in the middle of a voyage, especially if you’ve ventured offshore. 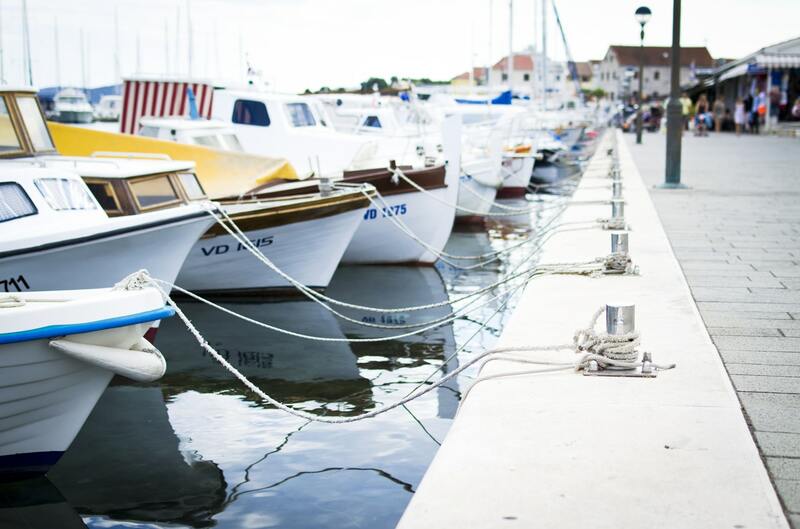 Not only should you take care that your used boat will be seaworthy, you also need to think carefully about what you need from a boat in terms of size, berth, and equipment. When you get a used sailboat, you can expect to drop some money into updating it. This won’t be a problem if you get a cheap or free sailboat, as long as you know what to major problems to look for – even a free sailboat can end up breaking your budget if it needs too many repairs. You’ll probably need to spend at least half of your boat budget on repairs and upgrades before you can take the boat out on the water. The older the boat, the more repairs and upgrades it will need, although there’s nothing wrong with choosing a simpler setup. Make sure you have enough money to invest in working safety gear for the boat. Before making a purchase, calculate your annual maintenance and other ownership costs to make sure you can afford to enjoy the boat, too. If you’re not sure what you’re looking for, a professional marine surveyor can point out any problems with the boat, and let you know what its market value is, which can help you avoid major, unexpected repairs and find a boat that you’ll be able to sell someday, when you’re ready. The costs of operating a sailboat go up exponentially with the size of the vessel, but that doesn’t mean you can’t be comfortable. What you need in terms of size, berths, and other equipment will depend on what you hope to get out of the boat. If you want to go offshore for longer passages across the open sea, you’ll need a larger boat with berths for additional crew and a galley equipped for sea voyaging, complete with a large freezer. If you plan to stay closer to shore, you may be able to get away with a smaller boat. Think about how much time you plan to spend on the boat each year, and where you want to go, before you buy. People often have to offload sailboats in a hurry, because they’re getting divorced, because they had kids, because they can’t afford to make repairs and restorations, or because their grandfather died and left one in his swimming pool. That means there are plenty of good bargains out there, if you know what to look for. Charities often sell donated boats for cheap, and many boating publications feature classified ads from readers looking to give boats away for free. Boat models that haven’t picked up a strong following are often the best bargains, although you should keep in mind that these boats will carry a lower resale value than a more popular model of boat. A cheap or free used sailboat could be your ticket to a life of adventure, as long as you know what you’re getting into. Make sure you or a professional surveyor inspects any used boat carefully for problems, and plan for the financial obligations of boat ownership in advance. With careful shopping and planning, you can enjoy your used sailboat for many years to come.